At some time in your life, you will be given a brief moment, an opportunity, to pitch someone. That pitch is referred to as an “elevator pitch,” and although you might be in an elevator, you could just as easily be in a cab, on a plane or at a dinner where someone asks you what you do. It is in that brief moment that you need the perfect pitch—a concise description of who you are, what you do and what makes whatever you stand for unique. Over 30 years, I have worked with thousands of entrepreneurs and salespeople. I can tell you that most never take the time to create the perfect 20-second elevator pitch. Every week on my radio show, The Cardone Zone, callers run their pitches by me for feedback. The most common mistakes are a lack of clarity, conviction and no sense of how fast 20 seconds goes. When you build the perfect elevator pitch, you need to figure out how to be impactful in 20 seconds—without using using any conversational etiquette. A great elevator pitch disregards conversation and social protocols. Don’t waste time on introductions, handshakes or even mentioning the name of your company. The purpose of the elevator pitch is to be remembered for that one unique thing you can do. 1. Clarify your goal. What is the objective and goal of your pitch? What is the one thing you want this person to do when the pitch is over? 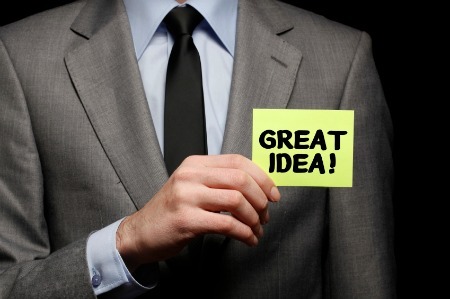 Do you want to tell potential clients about your organization and make them a client? In my case, I want the person across from me to know what I do, see how he or she can benefit, and decide within 20 seconds that I am the best person with whom to do business. 2. Ask for attention. If you don’t get attention, you’ll just be talking. The best elevator pitch demands that you get the person’s full attention. All you have to do is ask for it. “Can you give me your attention for the next 20 floors to share with you what I do?” Ask for attention before you start your pitch. 3. Make it sticky. When you move into your pitch, make sure that the first thing your audience hears is sticky. The easiest way to do this is to make a giant claim where your unique value proposition is clearly stated. Start your pitch by describing what your organization does and do it in one sentence that sticks. Here’s an example: “We help businesses increase sales by 15 percent through identifying missed opportunities.” That is sticky, pointed and memorable. Having trouble coming up with a sticky point? Ask yourself: “What is the one thing I want this person to remember when this pitch ends?” Your claim should generate interest or suggest who in the company would be best to contact. Your elevator pitch must hit very hard and be sharp and pointed so your audience remembers it. 5. Get it right. What you need to do now is practice. Time yourself and video yourself and pay attention to how fast you’re speaking, your mannerisms, eye contact, attitude, etc. Practice the pitch until it becomes natural and easy to deliver in 20 seconds. I once delivered an elevator pitch while boarding an airplane. In 20 seconds, I created so much interest that the person moved seats and we spent the next five hours creating a plan for his company on how it could increase sales by 15 percent. I became the authority in 20 seconds. When you come up with your perfect elevator pitch, you’ll be on the hunt everywhere you go to use it, to create interest and generate business. Remember, the elevator pitch is a pitch, not a conversation. It needs to be hard, fast and loaded with confidence. I assure you that you don’t need to worry about a sales pitch until you perfect your elevator pitch.